A cooking school, a farm, a household of eccentric animals and 250 delicious recipes from Tasmania's queen of the kitchen, Sally Wise. 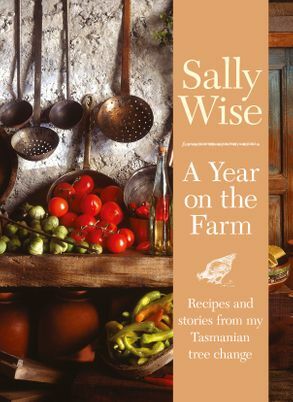 Renowned cook Sally Wise always wanted her own cooking school - and her own farm, where she could grow the produce she wanted to cook with. One day she and her husband came across a property in Tasmania's Derwent Valley with an orchard full of fruit trees, and a funny old chalet out the back. A plan began to take shape ... In this book, Sally shares 250 recipes she's gathered over a year of growing, cooking, setting up school and house - and managing an eccentric household of family and other animals. Like Nigel Slater's KITCHEN DIARIES, and Sally's early bestseller, A YEAR IN A BOTTLE, this is a charming portrait of tree-change and a cookbook to treasure.